'Chances are we already have people using the product in lots of businesses that we talk to,' says Dropbox official. Dropbox has revealed additional IT admin controls as it continues its bid to add business customers. Dropbox for Business customers in Australia include Atlassian, Mirvac, Macquarie Bank and Appen Butler Hill. The company has recently opened a Sydney office staffed by a small team. However, the consumer version of Dropbox is used in many companies that are not technically customers. About 95 per cent of Australian companies listed on the ASX 100 have Dropbox users, according to Ilya Fushman, the company's head of product, business and mobile. “Chances are we already have people using the product in lots of businesses that we talk to,” Fushman told Computerworld Australia. Globally, Dropbox has 300 million users for its core product, triple the user base from 18 months ago. Those users have brought the company into about 4 million businesses, he said. 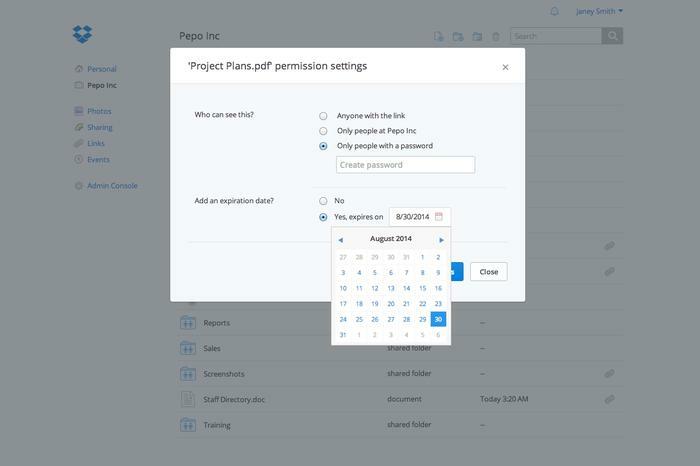 New features added today to Dropbox for Business include view-only permissions for shared folders, an ability to add passwords and expiration dates to shared links, and full-text search for Microsoft Office documents and PDFs. The shared folder and link features are available today to early access customers, while full-text search is “coming soon”, Dropbox said. The new controls follow the introduction in April of enhanced security controls including remote wipes and account transfers. Dropbox is no longer the only game in town for cloud storage, and tech heavyweights Google and Microsoft have recently engaged in a virtual arms race over who can provide the most storage space. While competitors have leapt ahead of Dropbox in terms of the amount of storage included for the price, he said Dropbox provides greater performance and ease of use. Fushman added that the Dropbox for Business product provides “effectively unlimited space.” If customers need more storage, they can ping Dropbox to get it, but this has not been a problem, he said.